Felton’s new revolutionary AL5-B non-sparking brush is the tool of choice when machining, cleaning, or repairing in explosive or flammable atmospheres. The AL5-B features a patented and world exclusive cast aluminum poured center with knotted brass wire to form a truly non-sparking product which holds bristles tighter, and extends the overall life of the brush. The AL5-B is a versatile brush for use in any environment containing potentially explosive gases or flammable materials. It can be applied in cleaning, maintaining, or repairing activities in a number of different jobs varying from refinery turnaround, industrial contracting, nuclear plant maintenance, and food processing plants to name a few. Our innovative patented design allows for a complete non sparking brush which optimizes safety and performance with minimal upfront investment from the customer. 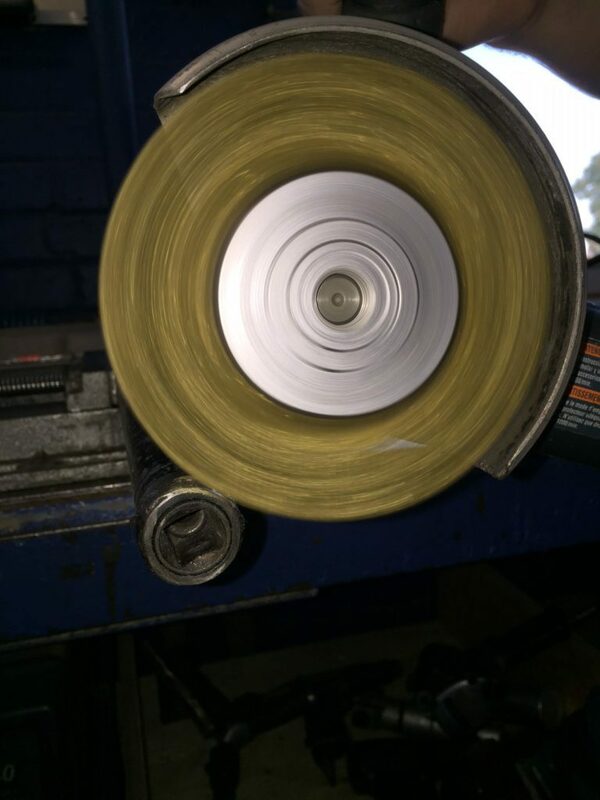 This method locks the knots sternly in place which creates an accurately balanced brush leading to higher RPM’s. This also has the added benefit of decreasing the wire agitation on the brush which is what causes a brush to throw wire. 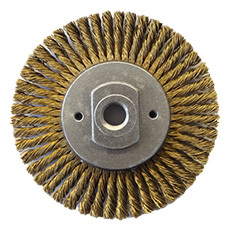 As the brush has a machined center, it can be flipped around which can increase the brushes effectiveness and increases the lifetime, lowering the cost per use.